Andre Greipel is on fire, FIRE, I say!!! As of today (20 February), he has had 5 – count’em 5! 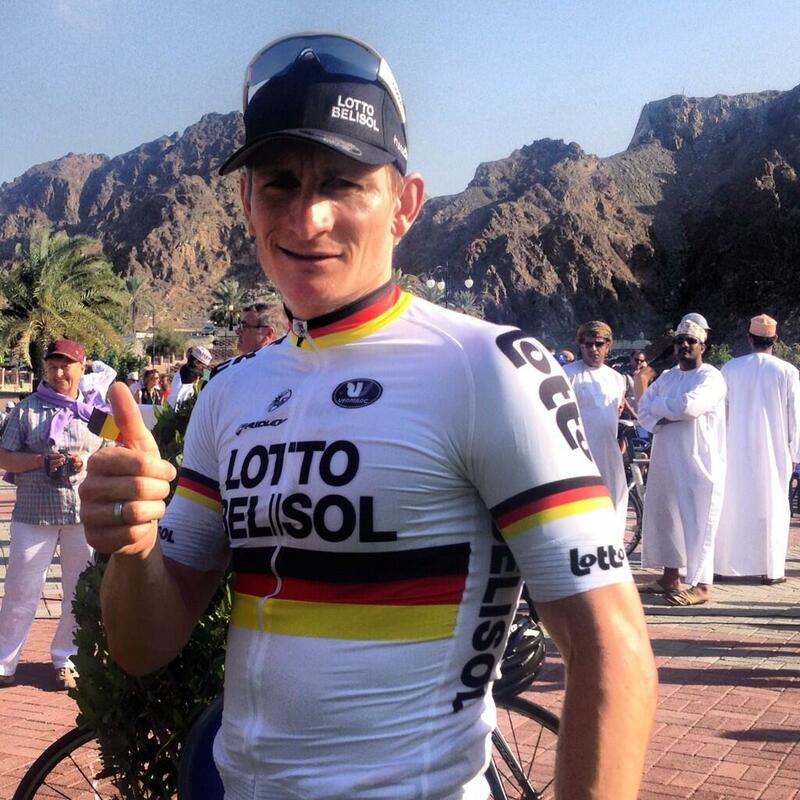 – sprint victories, including today’s Stage 3 in the Tour of Oman (putting him into the leader’s jersey). I’ve figured out his secret. It’s his snowy-white German national champ’s kit – making him faster than lightning!